Taizhou 100 lattice Electrical and Mechanical Co., Ltd. is located in mainland China, the first ray of the first ray of the first light - Zhejiang Wenling, geographical advantages, outstanding people, convenient transportation. 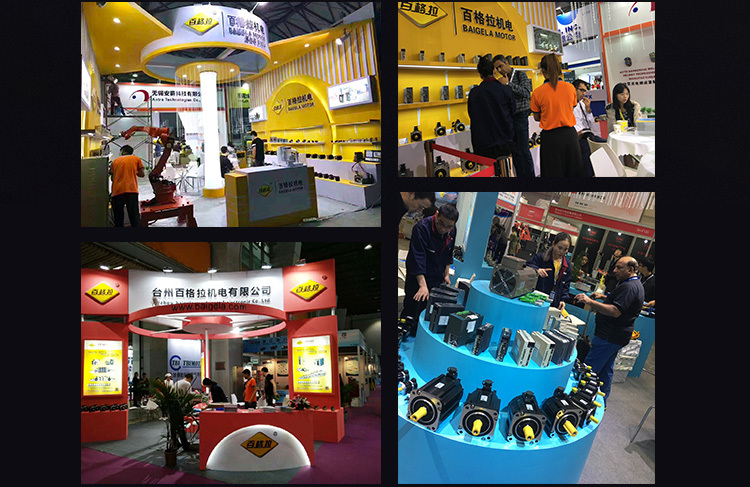 Company from 1995, and in 2012 it is renamed Taizhou 100 lattice Electrical and Mechanical Services Limited. Is a research and development, production, sales of stepper motor, servo motor, spindle servo motor and drive products in one company. The company's core products include AC servo motors, hybrid stepper motors and drives. Products are widely used in CNC machine tools, milling machines, packaging, printing, textile, computer embroidery, engraving machine, medical equipment, sewing machines and other automatic control and intelligent manufacturing industry. Companies in the course of business always adhere to independent innovation, quality first, to provide customers with cost-effective products and value-added services. The company has more than 120 employees, including research and development, technical staff of 26 people, technical team accounted for more than 20% of staff. The production of more than 100,000 motor, the annual output value of nearly 50 million yuan. After years of development and accumulation, the company has established a strong technical strength of the R & D team, the number of patent applications each year in the same industry ahead. At the same time, the company every year to introduce and update production equipment and testing equipment for independent research and development to provide strong support in the product innovation, the company's annual investment in research and development on more than 20% of total revenue. The company's products through the ISO9001: 2008 quality system certification, CQC certification, CE standards. The core components are through the national wire and cable quality supervision and inspection center, Zhejiang Province Quality Inspection Science Research Institute, Shanghai Electric Equipment Testing Institute and other professional authority of qualified testing. And with the Warda Group, Shougang shares, Taiwan Oyster Technology Co., Ltd., Japan's Mitsubishi, Japan Tamagawa River, Japan Yaskawa and other companies to establish a long-term cooperation. The company has a test room, is a leading full-featured performance of the motor industry laboratory. 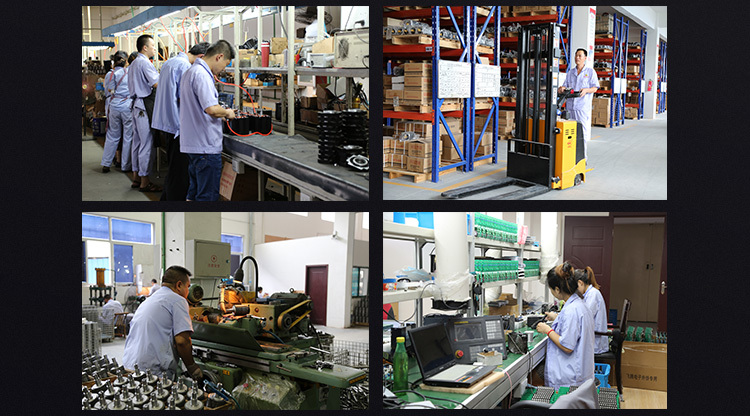 From the raw materials into the factory to the finished product factory the whole process has been strict quality control. In order to ensure the stability of the customer equipment, 100 lattice also built a product high temperature aging laboratory, all products are completed, must be a long time aging test, to achieve stable performance standards, which is 100 Gela products and similar products on the market The biggest difference in quality control. Company sales network all over the country, with five sales area, and with the Russian customers to establish a long-term cooperative relations, some products exported to the Middle East and other countries and regions, won the industry users praise and recognition. Company products factory pass rate of 99.98%, aftermarket repair rate of less than 0.5%. Stable and reliable is the advantage of the product. Company all three years of electrical products repair, life warranty, one year warranty drive repair, life insurance. The company has a 24-hour after-sales service team, to provide on-site debugging, testing, maintenance and other services, covering the whole country. Since the establishment of the company, has been adhering to the "professional focus, pioneering and innovative, pragmatic, integrity and win-win" business philosophy, combined with Taiwan, Japan, Europe and the United States enterprises advanced modern enterprise system and management model, committed to creating world-class motor Brand, a smart manufacturing field of the core components company. Since the beginning of the establishment of the company, put the responsibility of the community and the environment into the daily business management, in addition to consider their own development, but also actively consider the social and natural environment caused by the impact. As a responsible, missionary business, we are actively taking on more social responsibility. Companies actively participate in various social activities, keen on public welfare undertakings. Biegar in the Wenchuan earthquake, Yushu earthquake and other major events in the active organization of staff, partners donate love, convergence drip strength, make Mianbozhili. But also in the care of adolescent health, education and the elderly and other local construction projects in the building blocks. B & Q will continue to blaze new trails, excellence, research and development of energy-saving products, the introduction of industrial energy-saving projects for the cause of environmental responsibility, enhance self-value and pursuit.